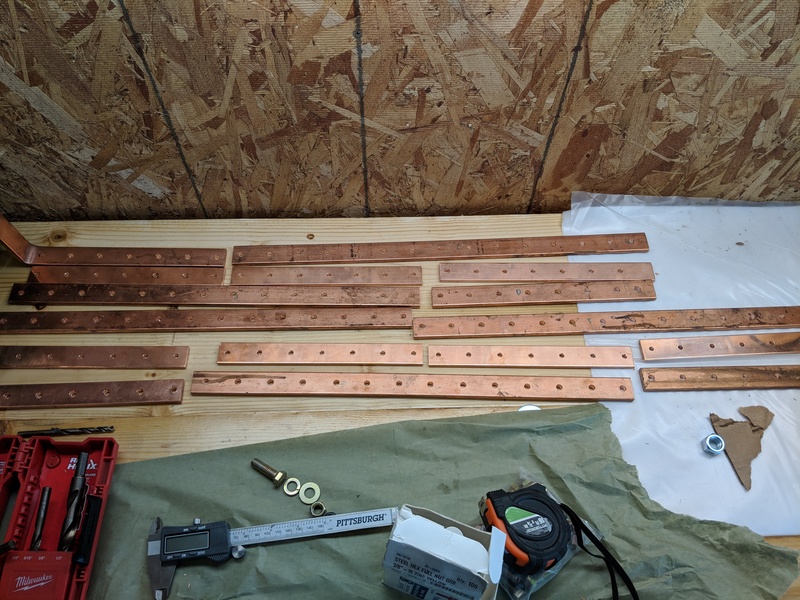 I’ve been drilling a lot of holes in copper bars – these bars are what connects the banks of battery cells to form the whole battery. 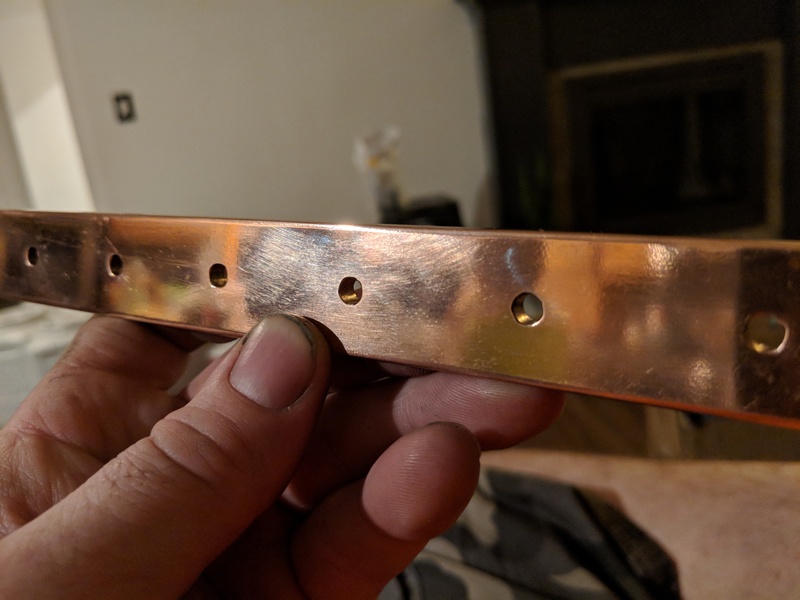 I think there were 198 holes drilled. 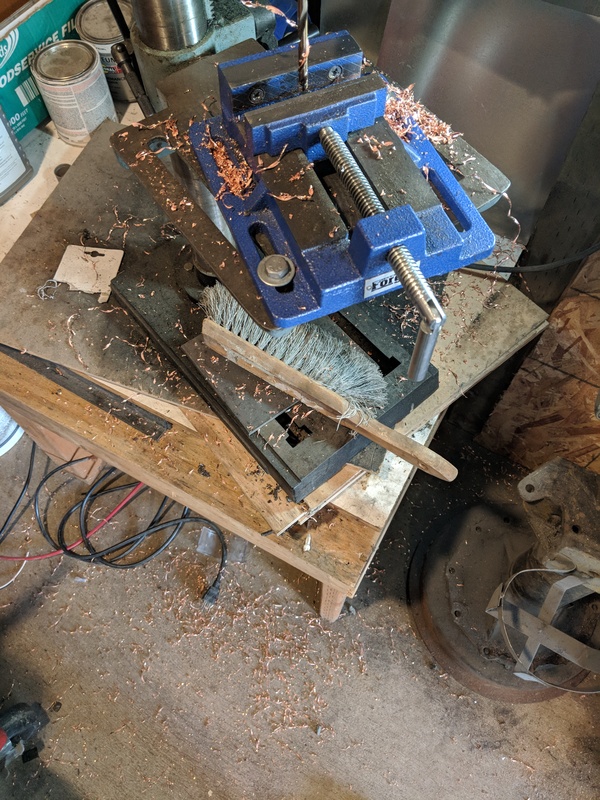 It was enough holes that it made sense to fix my drill press. Once the drillpress was fixed it was super fast to zap all those holes. 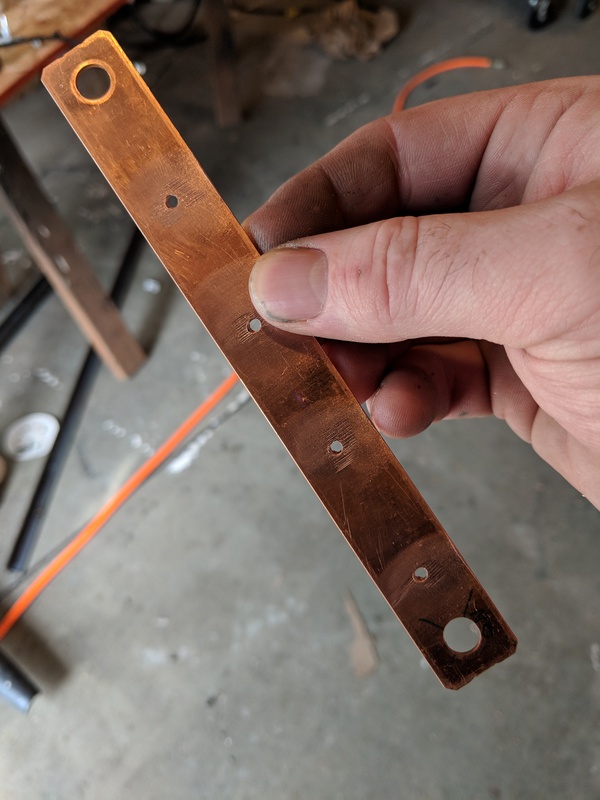 I used the nissan battery pack connection strips as a template for hole alignment – which also meant that I had to exactly compress the pack back to it’s spacing before. 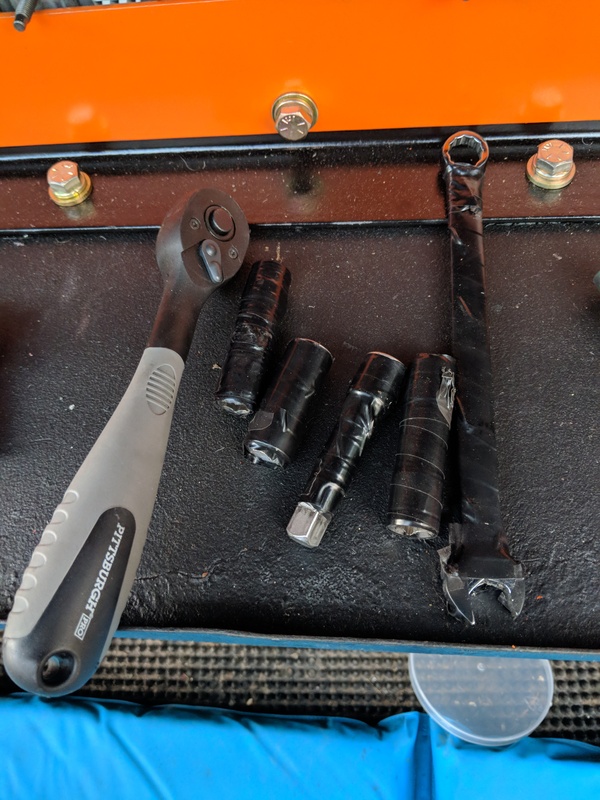 It was easier than it sounds – torque on the compression rods holding the packs together increased slightly when the modules wouldn’t squeeze together anymore, so that was the signal to stop tightening. This is awesomeness. I hadn’t thought of repurposing electric car batteries. With the increased volatility of lithium batteries as compared to other types, what measures have you taken for potential emergency situations like overheating, fire, or vehicular impacts? 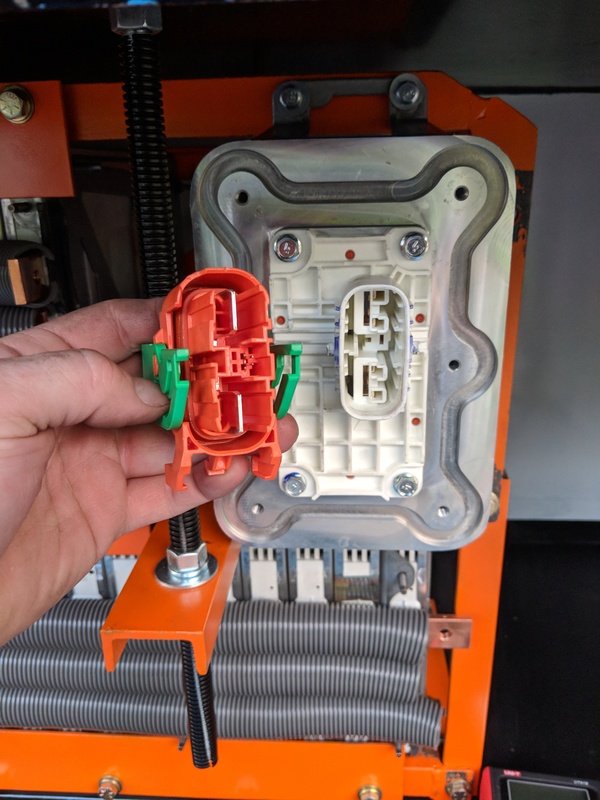 There were several design choices to help keep the battery within a safety envelope. * Location of battery is outside the occupant compartment in it’s own dedicated space. * The frame is constructed from heavy structural steel, inside the protective frame of the vehicle. * There is thermal regulation independent of the BMS (heating/cooling). 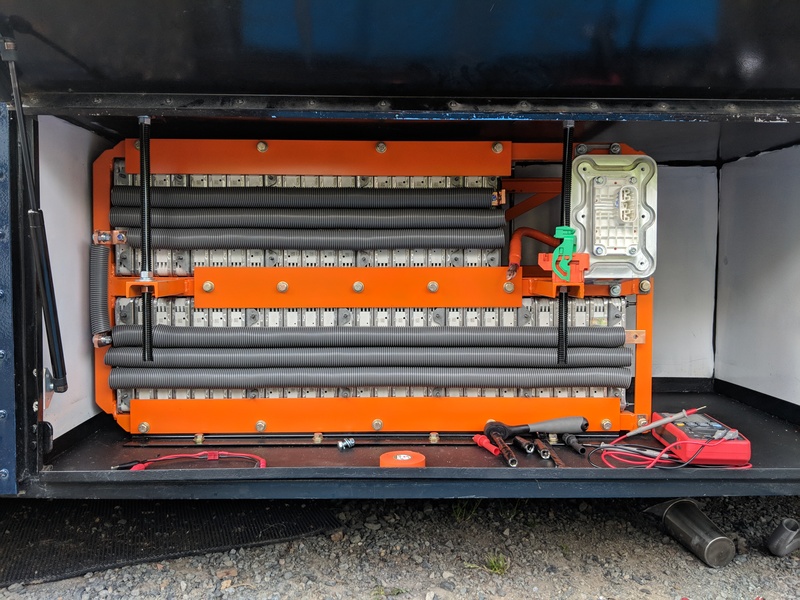 * The BMS monitors the performance envelope of the battery and can use the contactor as a master disconnect/safe. * BMS monitors max and min temperature, charge and discharge rate, battery voltage, cell resistance and balancing performance. If these exceed the envelope, the contactor is disabled. 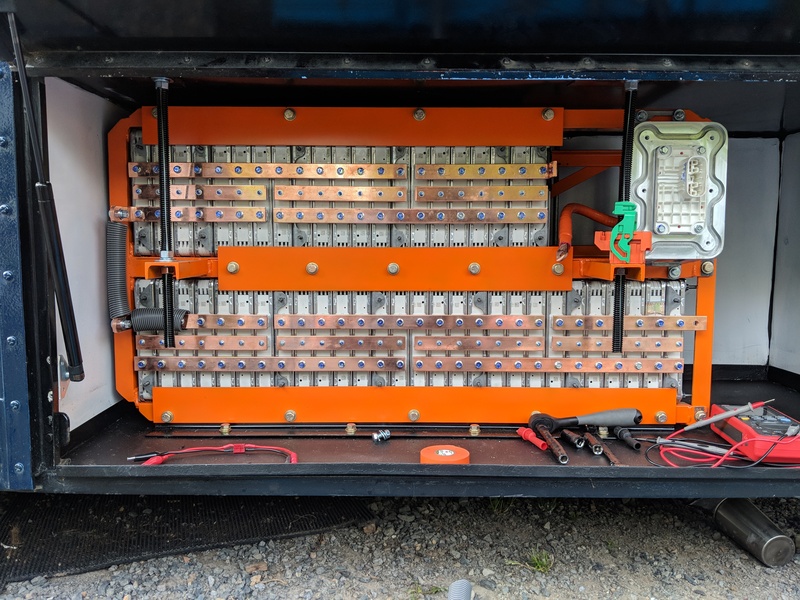 * The first fuse is a 350A fuse/plug on top of several fuse components inside the battery distribution case, as well as breaker protection for standard depowering of the battery for service. * The battery cables are accessible to emergency personnel for cutting in emergency circumstances. That’s a pretty good list of the obvious primary intentional safeties that were designed in.